The Defense Department in September released a first-of-its-kind study that estimates the risk of sexual assault service members face at different installations. The estimates were based on more than 170,000 survey responses service members completed in 2014 on whether they had personally experienced sexual assault. The data has limitations, but military officials will use it to help identify high-risk areas and see what additional steps can be taken to increase safety for men and women assigned there. The data is searchable by service, risk, location and estimated number of assaults. Service members can use the chart below, drawn from the detailed data tables published by RAND, to search for individual military installations and ships. Overall Sexual Assault Risk: This number indicates the average expected risk for the average men and women at the individual installations. For example, a 10 percent risk for sexual assault means it’s likely that one in 10 service members at that installation or ship will experience a sexual assault during the year. This number is affected by many factors, such as the age, rank or gender of the personnel assigned there. For example, installations with many younger, unmarried and junior ranking personnel (all risk factors) tend to have higher risk solely based on those demographic risk factors. Installation-specific risk: This number measures the risk for sexual assault that controls for all those personal factors and aims to more directly answer the question: Are individuals more at risk for a sexual assault here than elsewhere? This installation-specific risk may be associated with installation characteristics such as command climate, the community outside the gates of the installation, or other factors. 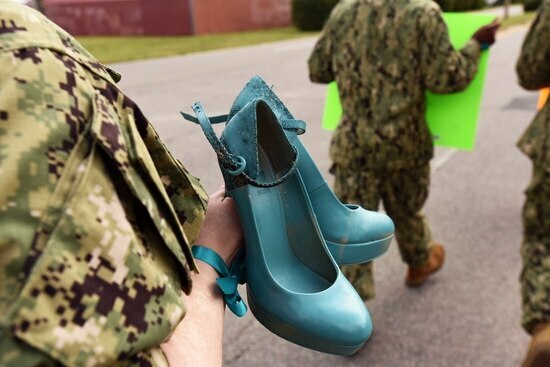 A positive number indicates service members at that installation face an elevated risk for sexual assault, and a negative number indicates the risk there is lower than expected for a base of that size and demographic. For example, an installation with an installation-specific risk of 1 percent (or -1 percent) means that troops at that location are one percent more likely (or less likely) to experience a sexual assault compared to the average for a base of that size and demographic. To calculate installation-specific risk, RAND employed a number of analytical tools and computer models to create its best estimate on the probability a service member may face sexual assault at that location. The percentages reported are RAND’s best estimate based on its analysis of the 2014 survey data.